Once again Pre was as good a meet as any on the planet. Which begs the question, why can’t we do this more often? It’s a rhetorical question of course, because the simple answer is MONEY! It takes a boat load of money to put on a quality meet these days, and who has that kind of money laying around? Yes, Eugene touts itself as "Track Town USA", but let’s be real – it’s in Nike’s back yard! Nuff said. I’ve said for years that the answer to track and field’s "issues" with attendance is not tied to street races, concerts, or pole vaulting in the parking lot. The answer is real simple – put the best on the track and let them compete. The problem is the cost of athletes is generally too high to do so. The Pre Classic shows just what can happen with enough money and the right invitations. So what did we get Saturday with Nike’s money? How about Olympic and World champions. World Record holders. Deep fields. World leaders. And ultimately some of the best competition you’ll find outside of a global championship! Not a bad return on investment. I mean, look at the women’s 100. There were TWO races, with each having women run under 10.90! Olympic and World champion Shelly Ann Fraser Pryce was fastest winning her heat in a WL 10.81 (equaled by Muriel Ahoure with Tori Bowie. 01 down ). She had been preceded by English Gardner showering a fine return to form with a 10.84 win over new comer Elaine Thompson (same time) following a couple of down seasons of her own. Such was the competition in Oregon that another four women were under 11.10. The World Championships could be brutal. Great racing and match ups were the order of the day. Allyson Felix v Sanya Richards Ross saw Felix run 50.05 in what appeared to be an easy win over Sanya (50.29). Felix looks to be back in form this year having run 21.97 earlier in Doha – and that’s not a good sign for the rest of the world’s long sprinters. At her best Allyson is capable of winning either event at Worlds. I’m just waiting to see which she chooses – or if she attempts both. On the men’s side, we got another round of James v Merritt, which once again was dominated by Kirani running a WL 43.95. But take note that Merritt was second in Eugene in 44.51 a huge improvement over his seasons best. It’s a ways until August and the World Championships. Those engraving Kirani’s name on the gold may want to wait just a minute. I have no doubt that either he or Lashawn will win. I’m just not ready to write Merritt off yet. I’m also really liking what I’m seeing in Ajee Wilson. She and Eunice Sum went down to the wire in the 800 Sum getting the narrow 1:57.82/1:57.87 win. But so fast so early for Ajee (just off her PR) bodes well for her chances in Beijing. I feel the same about Jenny Simpson who seemed in control of the 1500 as she came home in 4:00.98. I’m sure we’ll see a lot of sub 4:00 runs between now and Worlds, including by Jenny herself, but Championships go to the savvy, and Jenny has become THAT runner. Sort of like Matthew Centrowitz who narrowly lost the mile as his 3:51.20 was just short of Ayanleh Souleman’s 3:51.10. Of all the American milers, Centro seems to always be where he needs to be in a race – which means he always has a chance to place. Savvy. Of course the sport is track AND field, and with Nike money you can pay for BOTH! So we got outstanding performances there as well. Like Renaud Lavillenie vaulting 19′ 10.25" and Barshim Mutaz clearing 7′ 10. 75" with relative ease before simply shutting it down having done enough for the day. Leaving Guowei Zhang (7′ 9.75") and Erik Kynard (7′ 8. 5") in his wake – Ivan Ukhov, Donald Thomas, Jesse Williams, and Derek Drouin merely spectators in this one. We also had a relative who’s who in the air put resulting in three men over 70 feet led by Joe Kovacs 72′ 7" heave. As he beat out David Storl (71′ 11") and Ryan Whiting (70′ 1.5") among others. This was the quality that Nike put into Hayward Field stadium on Saturday. Olympic and World Championships level talent on display right here in a US meet – it can be done for the right price! And with this assemblage of talent and competition perhaps no event was as anticipated as the men’s 200. Often overlooked in favor of the 100 metres, the deuce was a focus Saturday in large part because the yearly leader in the 100 was entered! 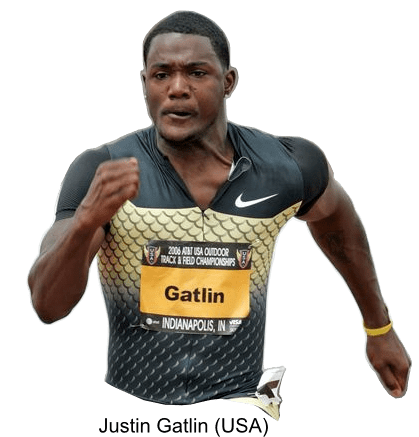 Justin Gatlin had opened his season in Doha with a sizzling 9.74 (fastest season opener ever) – and sprint fans like myself were curious as to what he would do over the longer distance. He didn’t disappoint dominating the turn then equaling his PR of 19.68 in Eugene! Gatlin ran by 19.8 performer Alonso Edwards before he got out of his drive phase! Dare I say that at this point in the season Gatlin is throwing down Boltish performances. Even better than Bolt himself who opened up with a modest for him 20.13 in Ostrava – though the conditions weren’t great. Still if you’re a sprint fan the idea that there could once again be true competition in the sprints at Worlds is exciting. The last real anticipated "showdown" was 2009 – and that got us 9.58! If this year’s Pre Classic taught us two things it’s that you can still put on a world class meet if your pockets are deep enough, and this year’s crop of elite athletes are ready to roll after last year’s "off" season. 2015 is going to be HOT! This entry was posted on Monday, June 1st, 2015 at 6:34 am, by CHill. You can follow any responses to this entry through the RSS 2.0 feed. You can leave a response, or trackback from your own site. Hey, I missed on most of my twitter predictions, but I had Kirani’s time exactly! 🙂 I know it was a lucky guess, but I gotta give myself a little pat on the back when I can. All jokes aside, it was a great meet. (Even though I couldn’t watch it due to a bizzare TV issue). I actually expected faster times in a few of the races (Gatlin, Gay, Felix/Richards-Ross & Souleiman for example) but these were still very good races to watch. I hope this US track league that is being attempted is able to pull together some real funding. Maybe we can see more marquee meets on U.S. soil. In solving its money/promotion problems, T&F needs to take a cue from the major sports in the U.S. – salary cap. It doesn’t seem that complicated to me. An IAAF guideline setting a maximum amount an athlete can receive for appearance at a single meet would do the trick. To earn what he is presently earning, a guy like Usain Bolt will need to – gasp! – race more often. It would ensure that we could see Gatlin vs. Bolt vs. Gay vs. whoever else as often as we see it in the other top events. One of the big problems in promoting the sport is the men’s 100m is the marquee event and it also happens to be the only event where the top dawgs never meet until the end. Any solution they come up with has to fix that. The ONLY way to improve popularity and increase viewership is to get the best on the track competing against each other! !